Concrete Pools – Shotcrete or Gunite? Swimming pools can be constructed using a variety of materials, including concrete, vinyl, fiberglass, and ceramic. These materials vary widely in terms of how durable they are and what kinds of benefits they offer. Gunite and shotcrete (types of concrete) pools will last for many years. Our pool experts have in-depth knowledge of the best materials to use, and the skills and equipment needed to install it properly. Contact us today to get started on your backyard oasis! What is the Difference Between Gunite and Shotcrete? Gunite is a dry concrete mix of sand and cement. Guniters mix this concrete with water at the applicator’s nozzle before applying it to the surface to form the pool shell. Shotcrete is a mix of water, cement, sand, and aggregate that is air placed at the nozzle spray at high velocities. This wet concrete is mixed onsite in a state of the art mobile truck, then put into a mixer that then goes into a pump. It is then air placed through a citified nozzle. Gunite and shotcrete both have similar installation processes. The main difference is the way the mix is sprayed onto the pool’s steel rebar. Pool builders are responsible for properly mixing the cement and water with gunite construction, while shotcrete is already fully mixed and air placed. Using shotcrete ensures the mix is perfect and doesn’t allow for human error during the mixing process. Gunite and shotcrete are both highly durable and able to withstand a great deal of wear and tear over the years. Unlike vinyl and other pool materials, you can count on your gunite or shotcrete pool lasting a long time without needing repairs when installed by the professionals at Summerhill Pools. When you get a shotcrete pool from Summerhill Pools, you’ll get a swimming pool that you and your family can use for many years. Shotcrete pools are much less likely to crack over the years, no matter what kinds of conditions they’re exposed to – including the extreme heat we often experience during summertime in Dallas. Shotcrete pools offer another important benefit for Dallas homeowners. These pools provide far more flexibility in terms of design than other pool materials. This means that you can have a pool made in almost any size, shape, and design you want. When you need reliable pool design and installation in Dallas, look no further than Summerhill Pools. 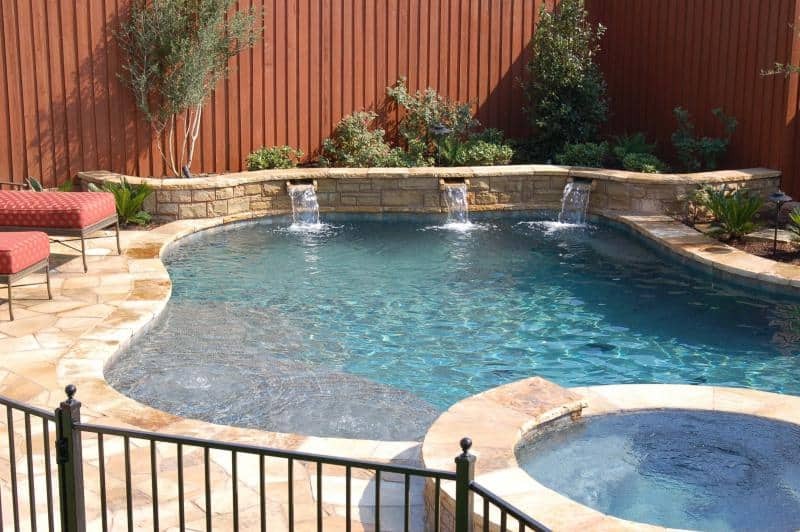 We’ve been constructing concrete pools for Dallas homeowners since 1989. Our shotcrete pools offer a great combination of design flexibility and durability, which allows homeowners to design the pool they want and know that it will stay in great condition for many years to come. Our pool designers will help you design the ideal pool for your yard, taking your ideas and needs into consideration. When you’ve selected the right design for your new pool, our team of experts will handle the installation process. At Summerhill Pools, we make sure that we provide our customers with education on the pool construction process so that you’ll know what to expect during the design and installation phases. 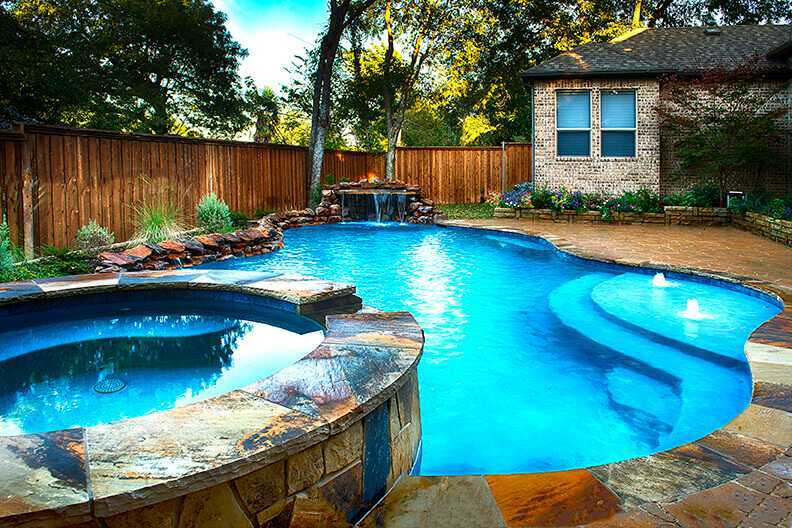 We’re dedicated to offering exceptional pool building services for homeowners in the Dallas metroplex area. When you depend on us to build your pool, you’ll get one that lasts for years. Contact us today to get started on your new pool design!